Ashland Creek Press, 9781618220349, 226pp. In Earth Joy Writing, Cassie Premo Steele draws upon her life's work as a teacher of writing, literature, and mindfulness to help writers foster a greater connection between the natural world and their own creativity. Earth Joy Writing is a writer's guide to reconnecting to the earth. 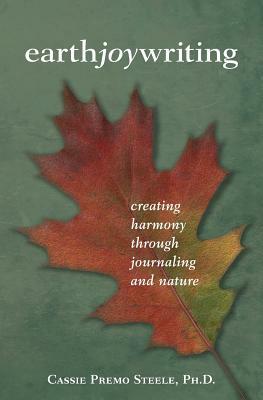 In chapters divided by seasons and months of the year, this book will guide you through reflections, exercises, meditations, and journaling prompts-all designed to help you connect more deeply with yourself, others, and your natural surroundings. Weaving together poetry, stories, and cultural wisdom, Earth Joy Writing invites us to consider our connection to the earth and offers hands-on exercises that will help us meaningfully reconnect with our creative selves and with the planet we all share.